It was final exams for many schools across the country this past week, meaning a relatively light college hoops schedule leading up to Saturday. But once the weekend kicked into gear, there proved to be plenty of intriguing match-ups, weird semi-neutral court games played in NBA arenas, standout performances and altogether surprising results to pass out weekly awards to deserving O26 performers. Heck, even the thinly-populated weekday slate offered up a noteworthy upset and a fine example of early-season coaching. Princeton. It is official: the Ivy League has two legitimate contenders in 2013-14. For all the recognition Harvard has received nationally — which is certainly well deserved, considering the team’s loaded roster and excellent start to the season — there has been another Ivy squad lurking under the radar, playing great basketball and looking like a bona fide threat to challenge the Crimson this year. That team is Princeton, and last week was its ‘hello, world’ moment. It started Wednesday night in Piscataway when the Tigers took on Route 1 rival Rutgers, a team starving for a victory in the wake of three straight losses. After trading leads for much of the contest, Princeton took firm control of things at around the 10-minute mark by doing what it has done so often this season — calmly finding seams in the opposition, penetrating and kicking out for open threes on the perimeter. In all, the Tigers hit 16 of their 34 attempts from behind the arc, and T.J. Bray — the senior point guard who was suspended for the previous game — scored 15 of his 23 points in the final nine minutes to put the game away for Mitch Henderson’s seasoned group. 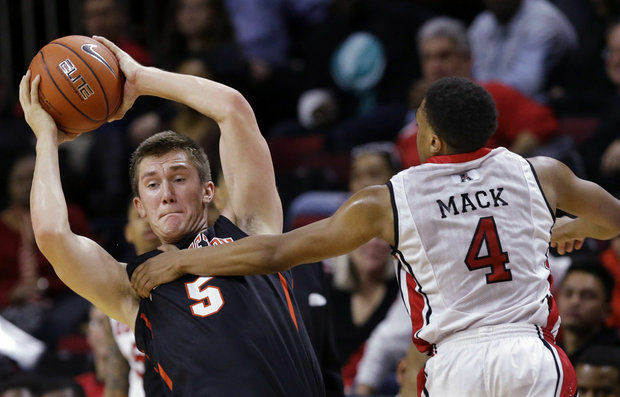 The 78-73 victory was a nice one, moving Princeton to 7-1 and furthering its case as the best team in New Jersey. Yet, it was Saturday’s win at Penn State that turned the heads of many college basketball fans.